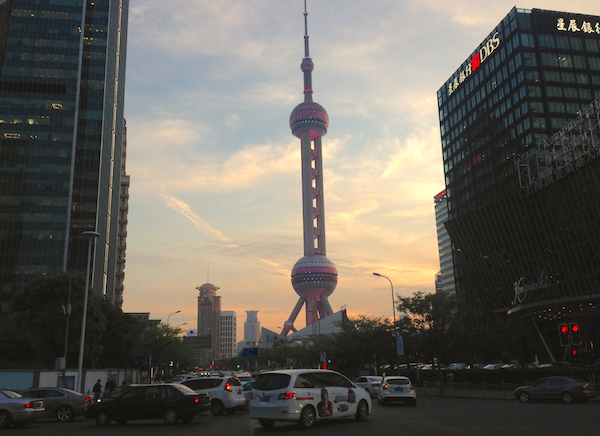 After going through the highlights of Auto Shanghai 2015 and before I give you my ranking of the most impressive Chinese carmakers at the Show, it’s time to go wandering in the streets of Shanghai so I can share with you what the most popular cars are here. 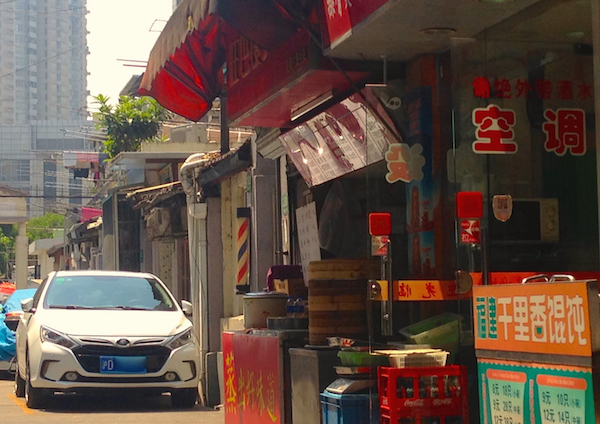 The Shanghai car landscape is surprisingly easy to read with a few main trends to be followed. 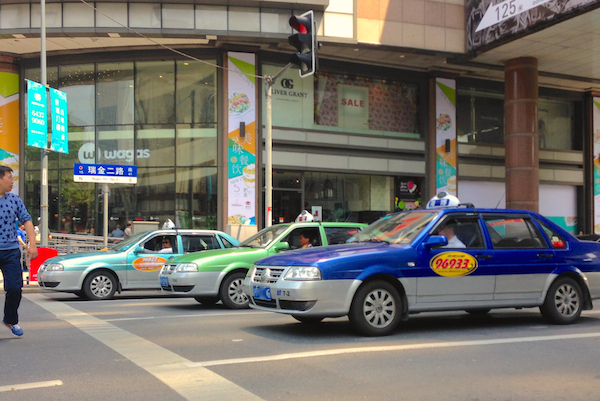 The Shanghai-Volkswagen joint-venture has been spitting out Santanas for 3 decades, so it’s no surprise to see them litter every single street of Shanghai. The surprise is how many of them still roam around. 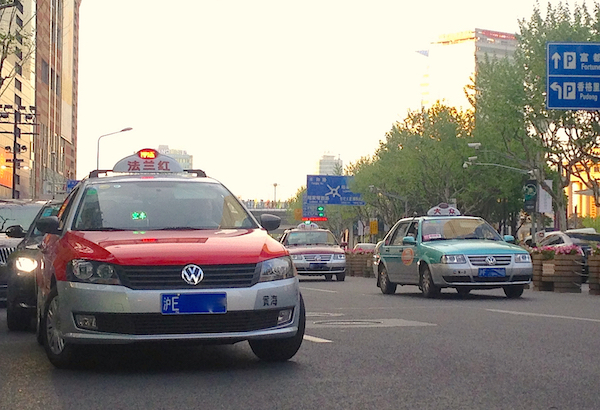 The Santana taxi accounts for up to 50% of the entire traffic in the French concession part of town for example. Efforts to replace it with more modern Touran and Lavida, though relatively successful, have done nothing to limit this supremacy however. The Santana Vista 1998 model is everywhere and I did spot two very well preserved first generation private Santanas, but very few new generation Santana, and none as taxi. If you think you’re way too cool to get moved around town in a vulgar taxi, then you’ll need to opt for the ubiquitous Buick GL8. 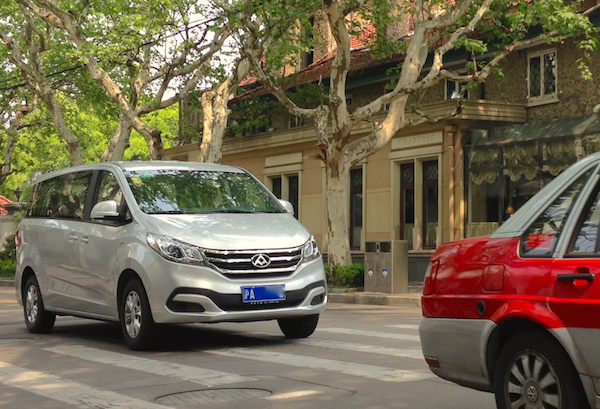 Already very popular in Beijing, the GL8, most of all the current generation, is the way to get chauffeured around in Shanghai, if you can afford it. 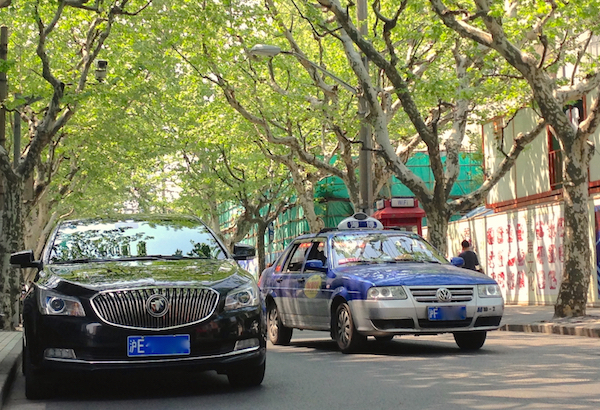 Go near the shopping districts of Tianzifang and Xintiandi and you’ll find lines after lines of Buick GL8 parked with their driver sleepily awaiting the end of the Prada and Louis Vuitton shopping spree. In fact, not only the GL8 but the entire Buick lineup is particularly strong in Shanghai, notably at the higher end of the scale: the LaCrosse is very frequent in the streets of the city especially in financial Pudong, and I have spotted a few Envision SUVs already. 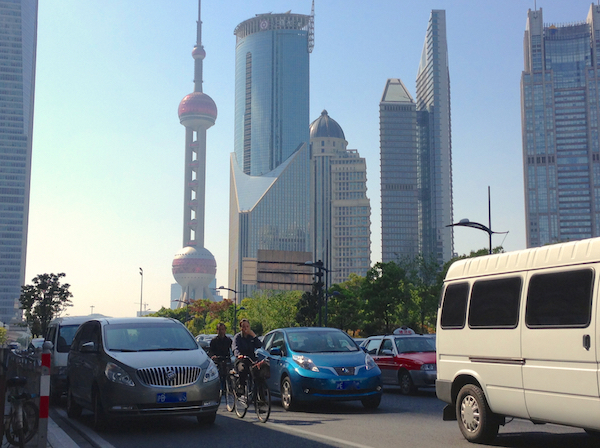 Even more acutely than in Beijing where I estimated that Chinese carmakers amounted to around 10-15% of the traffic, Shanghai harbours a stinging self-hate for domestic manufacturers, who account for no more than 5-8% of the overall Shanghai car landscape. 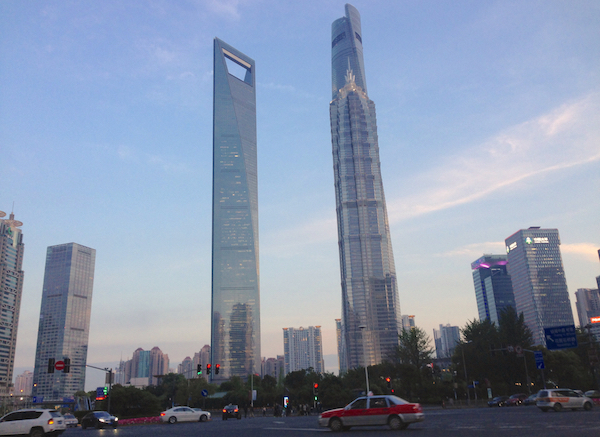 The only ones keeping their head out of the water logically belong to Shanghai-based SAIC Group. 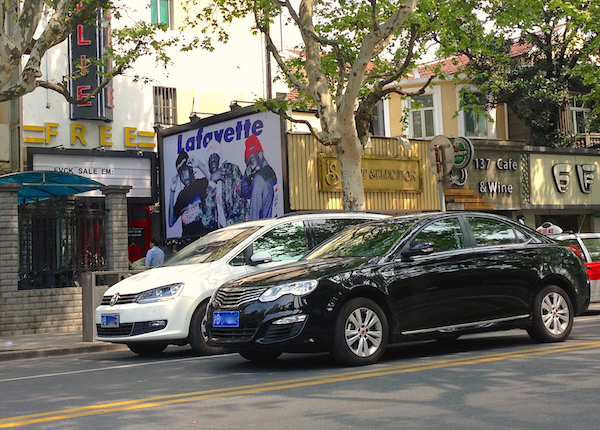 Roewe is by far the most popular local brand in Shanghai, with the 550 the favourite in the lineup by a large margin. Maxus is strong in the commercial area with a dozen M80 as well as a handful of G10 spotted. MG follows, mainly thanks to the MG3. The only other nameplates to pop up more than once (!) are Jinbei and Foton Hiace-inspired vans and JAC light vans. 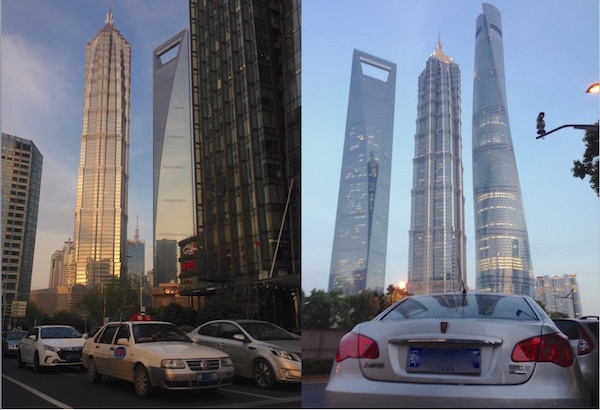 I did spot one Qoros 3 in Pudong, and a couple of BYD Qin hybrids. A particular favourite in Shanghai is the Range Rover Evoque, imported here therefore highly expensive, but that hasn’t deterred a mini-craze towards this vehicle here. I saw a total of over 20 in just two days spent wandering the streets. 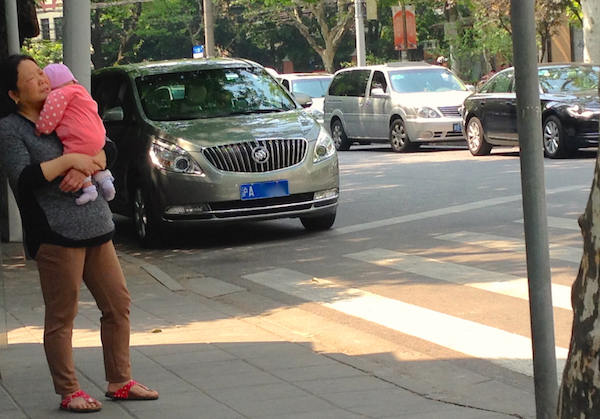 I also noticed an inordinate amount of Fiat Viaggio and Ottimo and 3 Tesla Model S in two days: one near People’s Square, one in Pudong and one on the Bund where a Ford F-150 Raptor also caught my attention. If last year after the Beijing Auto Show I took you all the way to Western China on a trip to Kashgar in Xinjiang Uyghur and on the Karakoram Highway to the Pakistani border, this year we are headed North towards the North Korean and Russian borders. 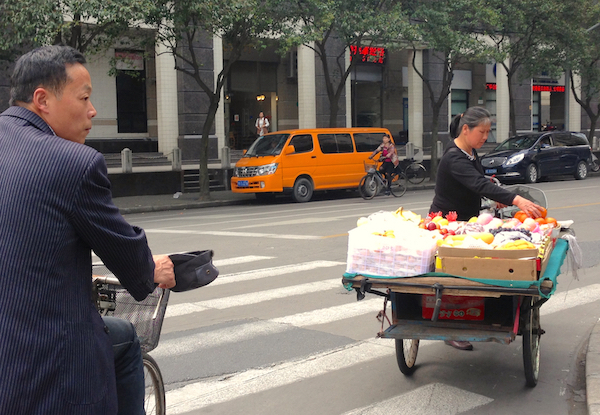 Next stop: Changchun, the “Detroit of China” in the Jilin province. Stay tuned! The Photo Report (20 pictures) continues below.